CumuPlush is a mildew-resistant, easily draining outdoor cushion filler. 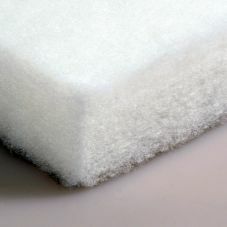 Sometimes referred to as "cumulus," this resilient and soft fill is a special blend of dry conjugate and layered, densified polyfiber. CumuPlush is available 2-8 inches thick, depending on your preference and the type of cushion you choose. Additionally, CumuPlush is fully recyclable. During manufacturing and in its final form, CumuPlush does not contain dangerous chlorofluorocarbons (CFCs), so it will not damage the Earth's ozone layer as many foam processes may. These combined traits make CumuPlush the most environmentally conscious choice for consumers.